The death of Natasha Weigel, who was in the backseat of a GM Cobalt that crashed in 2006, is not counted among the 13 fatalities stemming from an ignition switch failure. Amy was sitting in the passenger seat in the front. Natasha was in the back. However, General Motors counts only Amy's death among the 13 caused by ignition switch failures. Natasha's family learned last month from government safety regulators that she is not on GM's list of confirmed deaths. "I don't understand how Amy can be on that list and not Natasha," said Ken Rimer, Natasha's step father. "Had the ignition switch not failed, they'd both be alive." General Motors has yet to reach out to either girls' parents directly. Both parents say they learned about the tie between the accident and the ignition switch problem earlier this year. They are represented by the same lawyer, Robert Hilliard of Texas, and joined a lawsuit with other victims suing GM in March. Amy's mother, Margie Beskau, received an email from the government around April 11 that her daughter was one of the victims. She was surprised that Natasha's name wasn't on that list. "GM is trying to pass this off as an airbag problem, and it's not," Beskau said. GM declined to comment on the lawsuit. 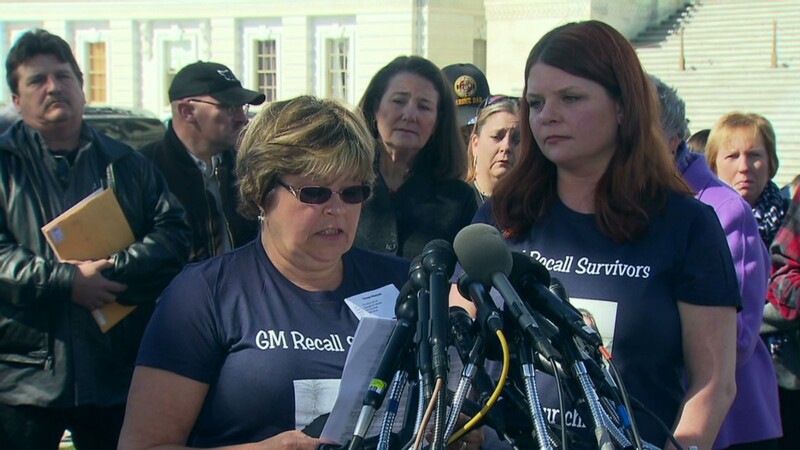 But spokesman Greg Martin said that "GM has taken responsibility for its actions and will keep doing so."